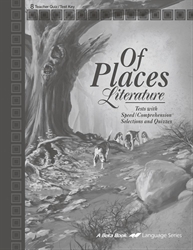 This helpful parent’s companion to Of Places Literature Tests with Speed/Comprehension Selections and Quizzes (sold separately) provides a copy of your child’s test and quiz book with answers and point values supplied. Answers for test essay questions give the basic facts to be included. 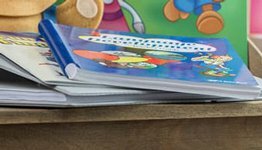 The Speed and Comprehension Chart will enable you to evaluate your child’s reading speed and comprehension progress and adjust accordingly as explained in the Home School English 8 Curriculum/Lesson Plans. Since the literature tests for Of Places are designed to be given in conjunction with the grammar tests for Grammar and Composition II, the point values for both together equal one test grade. 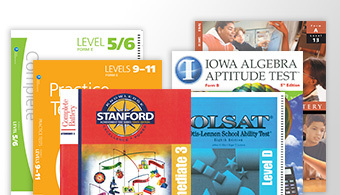 The number of questions and suggested point values on the literature vs. the corresponding grammar test reflect the emphasis of the Home School English 8 Curriculum/Lesson Plans so that over the next few years your child will gradually delve more deeply into literature, which is given greater weight in later high school years after he builds a solid foundation in grammar. 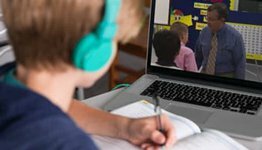 Essay questions carry a small point value on the test, allowing your child to build confidence with summarizing skills and essay answer format. Grade 8.